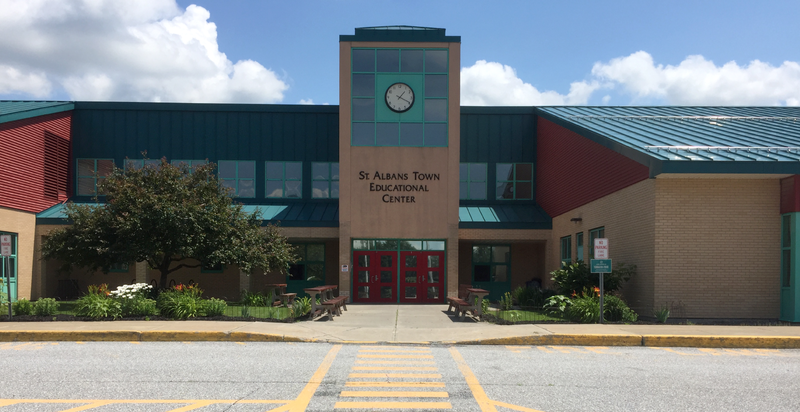 St. Albans Town Educational Center (SATEC) is shifting to solar power. 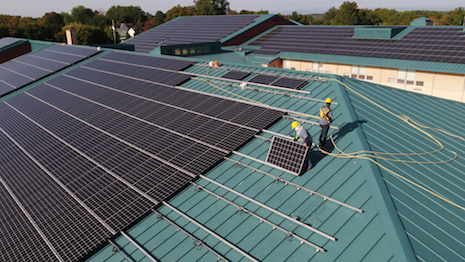 With the help of SunCommon, Vermont’s largest solar company based out of Waterbury, SATEC is going solar with a 640 kW solar array on the rooftop of the school. The 2,089 panel solar array, producing enough electricity to power 100 local homes, will fully offset the school’s electricity needs, and then some. Upon completion of the solar array later this summer, SATEC will be net-positive meaning the school produces more power than it needs. 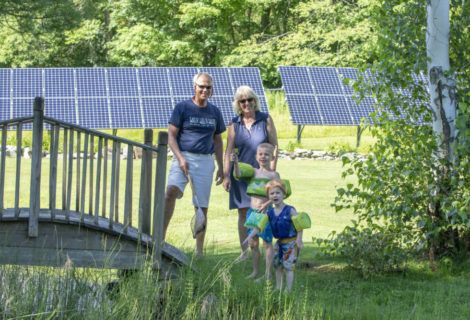 SATEC will share the excess solar credits with neighboring BFA to reduce their energy costs. SATEC is a PK-8th grade school in the Maple Run Unified School District with approximately 750 students. 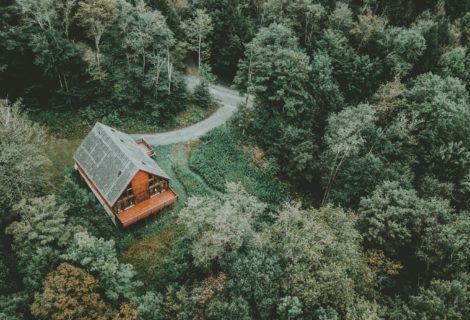 SATEC has been focused on reducing otheir energy footprint for a number of years. They have retrofitted 90% of the lighting with high efficiency LED replacement, upgraded the air handling system for demand level control ventilation, and installed variable frequency drives to power the heating system pumps. 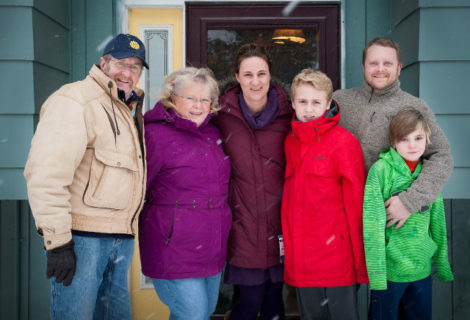 In 2014 they received the designation as an “Energy Star School” through Efficiency Vermont. The solar project with SunCommon is another step in their efficiency and energy reduction efforts. We went solar because our school needs to cut energy costs and become more efficient. With school budgets rising, we’re mindful of what that means for our community so we’ve taken steps to lessen that burden. 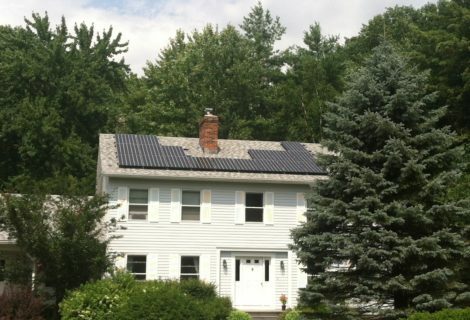 Going solar lowers our energy costs, reduces taxes for the community and will not cost the taxpayers. This project is a win-win. Think solar might be a good fit for your business or organization? Learn more about our commercial solar program. SATEC’s solar project made headlines across the front page of the St. Albans Messenger. Read all about it! Going solar sets an example for our students while bringing a learning component to the classroom. We’re making students more aware of the things they can do to reduce their footprint on our planet. We hope to spark ideas that they can research and bring into their own lives.